1994 In 1994, the President Nazarbayev spoke at a meeting of the Supreme Council "On the transfer of the capital of the Republic of Kazakhstan"
In 1994, the President Nazarbayev spoke at a meeting of the Supreme Council "On the transfer of the capital of the Republic of Kazakhstan"
1. Agree with the proposal of the President of the Republic of Kazakhstan Nursultan Nazarbayev to move the capital of the state to Akmola. 2. Cabinet of Ministers should develop feasibility study and terms of capital transfer until the end of this year. 3. To the Cabinet of Ministers, to the Committee of the Supreme Council on State Building and Regional Policy in conjunction with the City of Almaty to develop and submit the draft law on the special status of the city of Almaty before the end of current year. Nursultan Nazarbayev — the President of the Republic of Kazakhstan. N.Nazarbayev was born in July 6, 1940 in the village Chemolgan Karasay district of Almaty region. In 1958 he graduated high school with honors and Dneprodzerzhinsk technical school № 8. He began his career as a general worker of «Domenstroy» building management, he was cast iron worker filling machines domain management, controller of domain shop, fitter of gas blast furnace and senior gas fitter of domain shop. Nursultan Nazarbayev graduated Higher technical educational institution in Karmetkombinat on «ferrous metallurgy» specialty. While he had been working, he graduate distantly the High Party School of the Central Committee of the CPSU in 1976. After a while, he was appointed head of the industry — transportation department Temirtau City Party of Kazakhstan. 1990 the Supreme Soviet of the Kazakh SSR elected Nursultan Nazarbayev first as the President of the Kazakh SSR. After some time, the Kazakh SSR was renamed the Republic of Kazakhstan. December 1, 1991, Nursultan Nazarbayev, became the Republic of Kazakhstan on national elections. In April 1995 according to the nationwide referendum, the President of the Republic has been extended his duties until December 2000. In 1999, an extraordinary presidential election, which was won by President Nazarbayev. He was elected for a term of seven years. In 2005, the people of Kazakhstan once again entrusted him to lead the country. Nursultan Nazarbayev — the Supreme Commander of the Armed Forces of Kazakhstan, Chairman of the World Association of Kazakhs, the President of the Assembly of Peoples of Kazakhstan. N. Nazarbayev — Doctor of Economic Sciences, Academician of the National Academy of Sciences of the Republic of Kazakhstan, Academician of Social Sciences of the Russian Federation, Honorary Professor of the Kazakh State National University named after Al-Farabi. Honorary member of the Belarusian Academy of Sciences. Honorary Professor of Moscow State University named after M. Lomonosov. 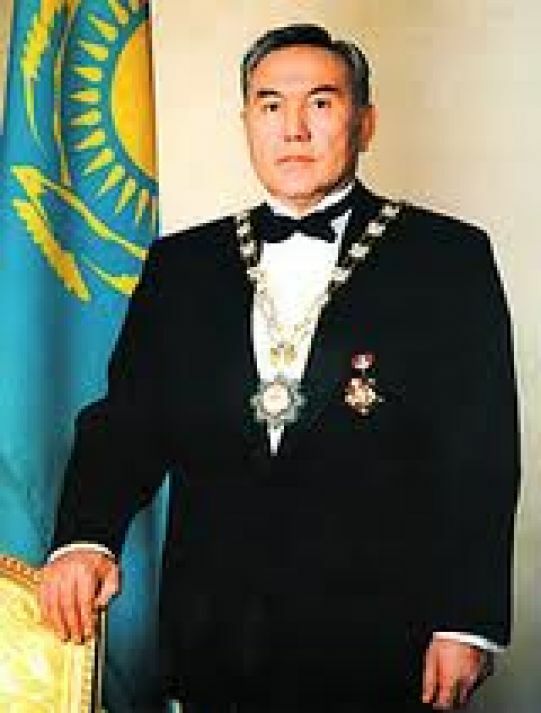 First President of Kazakhstan has the title of «Halyk kaһarmany» (2001), awarded the Order «Badge of Honor» (1972), Red Banner of Labor (1980), «Altyn Kyran» (1996), Holy Prince Daniel of Moscow 1 — degree (ROC, 1996), Yaroslav the Wise (Ukraine, 1997), Knight Grand Cross (Italy, 1998), «Star of Romania» (1999), the Lithuanian Grand Duke Vitausa 1st Class (2000), «The great Star of Honour for services to the Republic of Austria» (2000), «Ismoili Somoni» (Tajikistan, 2000), Grand Cross of the Order of St Michael and St George (UK, 2000), the Order of the Saviour (Greece, 2001), the Order of King Tomislav on the tape with the sign of the Great Danica (Croatia, 2001), Order of Pius (Vatican City, 2001), two medals, two diplomas of the Supreme Soviet of the Kazakh SSR. Nursultan Nazarbayev, the author of «Steel profile of Kazakhstan» (Alma-Ata, 1984), «Strategia razvitia Kazakhstana kak suverennogo gosudarstva» (Alma-Ata, 1992), «Na poroge 21-go veka» (Almaty, 1996), «Slovo o rodnom narode «(1998)," V potoke isporii «(Almaty, 1999)," Rodnaya strana -moya opora»(2001) and many others. Nursultan Nazarbayev honorary citizen of the city of Temirtau, Almaty, Bucharest, Astana. 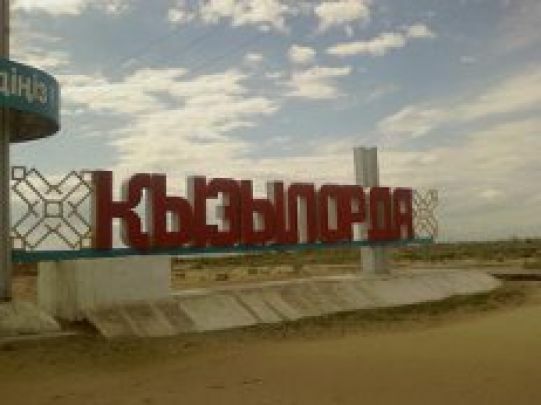 July 6, 1925, Orenburg province was returned to the submission of the RSFSR, and the capital of Kazakhstan was transferred to the Kyzyl-Orda city. In 1927, the capital was moved to Alma-Ata.